Joy, sadness, happiness, depression, pride, shame and lots of other contradicting emotions we’ve all been through. Lots of people said it was going to be a tough and disastrous year, which is partially true if you look at the empty half of the glass, which is not how we look at things here. Looking at the bright side is Mashareeb‘s philosophy and for us, 2011 was quite spectacular. While the revolution was the birth of a dream lots of people have been fantasizing about, it was also the birth of lots of talents and creativity. It was quite a relief to see artists getting the recognition they deserve, which is what Mashareeb has always been trying to do. We are happy, very happy, extremely happy and glad people started looking for that creativity we’ve been trying to gather and show. They are already looking for it, striving to find it, they appreciate it, share it with others and give it the proper recognition, that’s all we ever wanted and hoped for and it happened in 2011. 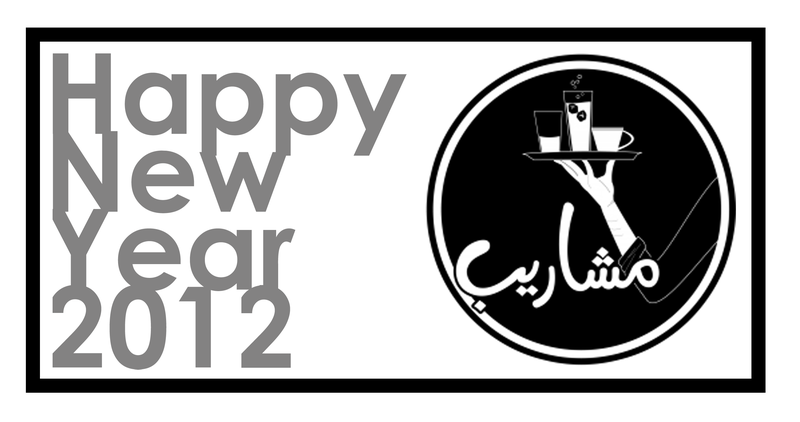 We honestly haven’t fulfilled the dreams nor achieved the goals we had for Mashareeb in 2011, due to several reasons, but with your help we will hopefully do that in 2012! Now that you know that Egyptians do have some talent, keep supporting them, they need you. And dear Egyptians creatives, this is your time, let your creativity flow and show the people what you’ve got, they are willing more than ever to hear or see something new. And finally, I think we will quote last year’s message because nothing has changed and we couldn’t have said it better. As for us, we will never stop believing and we will definitely never stop dreaming because Mashareeb is all about dreams. Cheers and Happy New Year, embrace it with a positive attitude and send out positive vides to those around you.